This shielded snagless Cat6 cable is perfect for use with our HDBaseT Products or with any other application where long length shielded cable is required. 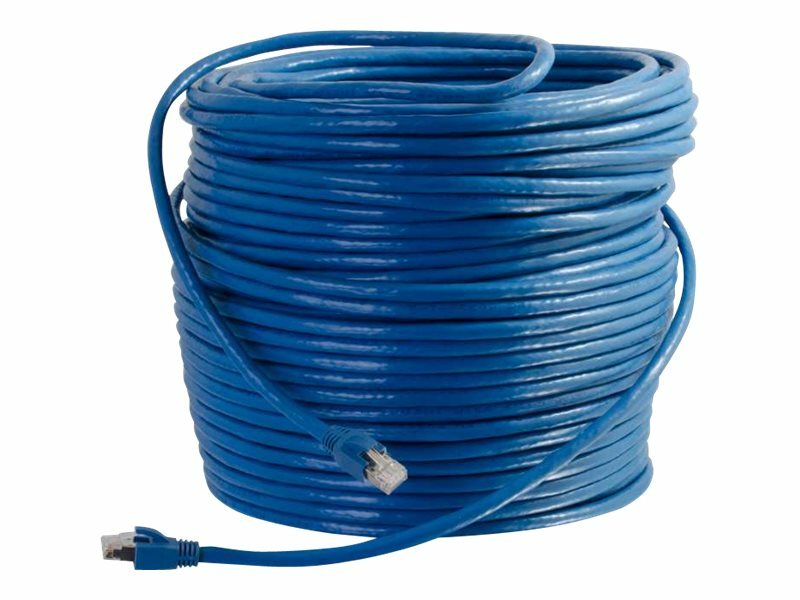 This cable is optimized for superior performance in noisy environments and is designed to handle bandwidth-intensive applications. This cable is designed to meet Cat6 TIA/EIA and ISO/IEC standards for patch cable performance. Each individual pair is bonded together to help maintain the twist-spacing throughout the cable right up to the termination point. The cable design minimizes Near-End Crosstalk (NEXT) levels and features high quality solid conductors, full cable shielding and is terminated with a snagless boot & shielded plug. The combination of the shielded plug, shielded cable, snagless boot and solid conductors provides superior performance over standard stranded conductor patch cables when used with HDBaseT solutions.